Slaving over a hot easel, and What I Learned. 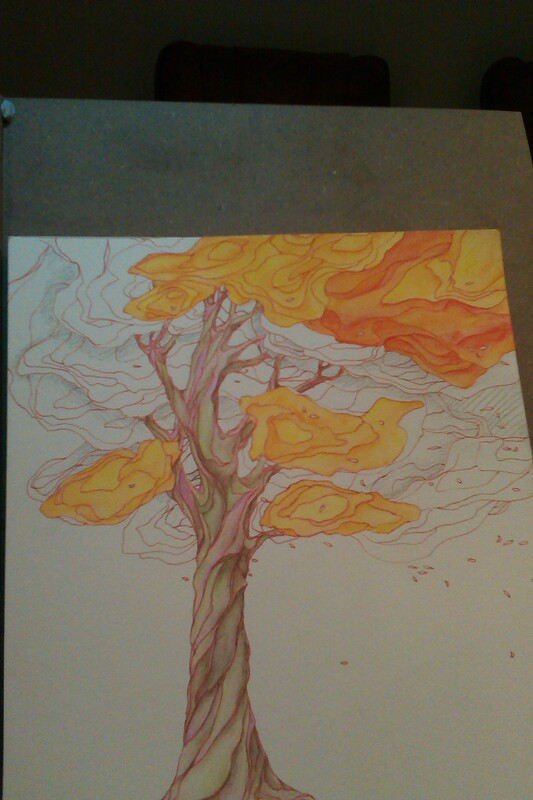 Here are the fruits of my labours thus far: a dip-pen inked tree, with watercolours. Still to be added: a sunset sky. …except that I should learn something from each painting! That in itself was worth learning though, so I guess that made it all worthwhile. I’m going to go and crash now, you can probably tell from my inarticulateness that 8+ straight hours of concentrated painting has scrambled my brains. This tree painting (when completed), this morning’s sweet picture of watchful parent and fuzzy chick, and my brush-wielding services are also for sale – contact me for details.